Milford Conservation Volunteers restoring woodland footpaths. Residents and wildlife in Milford on Sea are set to benefit from plans to improve wooded areas in the coastal village. To ensure that the area’s woodlands continue to flourish, Milford on Sea Parish Council and the Milford Conservation Volunteers have worked with the New Forest Land Advice Service to develop a 10 year Woodland Management Plan. Woodland covers 10 per cent of the parish, with many sites designated as Sites of Importance for Nature Conservation (SINCs) and Local Nature Reserves. These broad-leaved woodlands boast a range of impressive native trees, including oak, ash and alder. However these sites also contain non-native plants and trees, which affect the vitality of the woodlands’ native flora and the wildlife they support. Restoring footpaths and important heathland habitat. Keith Metcalf, Milford Conservation Volunteer, said: ‘We are delighted that the Parish Council has adopted the Land Advice Service’s woodland management plan recommendations. A copy of the full management plan is available at the Milford Parish Office on the High Street in Milford on Sea from 10am to 12pm on weekdays or by emailing Angela.Peters@nflandadvice.org.uk. The New Forest Land Advice Service is funded by the New Forest National Park Authority, Hampshire and Isle of Wight Wildlife Trust and the Verderers. Every year, people flock to England’s south coast to visit heritage sites or simply to relax on the beach. 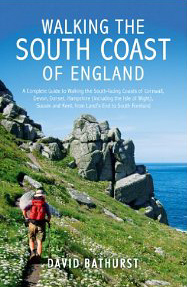 But to see the real beauty that these glorious counties have to offer, pick up this detailed guide to some of the best walking in Britain. David Bathurst has walked 650 miles of coast, taking in breath-taking natural landscapes and significant landmarks on the way. With rugged cliffs and ancient cathedral cities, historic ports and wonderful wildlife, there’s something for everyone; whether you’re a seasoned hiker ready to take on the entire walk, or a summertime stroller who wants to experience this rewarding ramble in smaller doses.